Disputes over child-related issues tend to evoke strong emotions, as parents instinctively want to advocate for their child. Child support is particularly prone to pitting parents against one another because of the compounded issues of money and childcare. 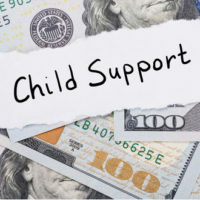 The financial element of child support can lead parents to become defensive and resentful, which, if unchecked, can spark contentious arguments that sometimes lead to physical altercations. A video of two women fighting over child support was recently posted online, and unfortunately, illustrates the approach that parents should seek to avoid. Physical violence rarely produces the desired results, and could lead to criminal consequences. The law provides a number of options to address child support disputes that are more effective, safer and intended to promote the well-being of the child. A discussion of when modification of a child support order may be warranted, and how to enforce existing child support obligations, will follow below. healthcare insurance for the child and/or parent. Finally, actual changes to patterns of parenting time, as opposed to what is listed in the parenting plan, can justify a modification of support if the split in parenting time is substantial, i.e., 300 nights annually versus 250 nights listed in the parenting plan. Enforcement of a child support order starts with income deduction orders that direct the obligated parent’s employer to automatically withdraw the required amount each pay period, and submit that amount to the state disbursement unit for processing. If this method of collection fails, usually due to a parent frequently changing jobs or choosing not to work, the parent receiving support can petition the court to hold the delinquent parent in contempt if the non-payment was willful. Once a contempt order is in place, a court can compel compliance by imposing jail time, fines or lump sum payments in lieu of jail. Additional available penalties include the suspension of driver’s and professional licenses and the seizure of income tax refunds. Child support is an important issue for parents who share child custody, and while disagreements are bound to arise, there are ways of resolving them efficiently and civilly. The Donna Hung Law Group represents clients in a variety of child support matters, and is skilled in helping you negotiate an agreement with the other parent, or litigating the dispute in court if necessary. Contact the Orlando law office today at (407) 999-0099 for a confidential consultation.